As a consulting firm that’s been around for 17 years, Carbon Five has a unique perspective on trends in digital product development. 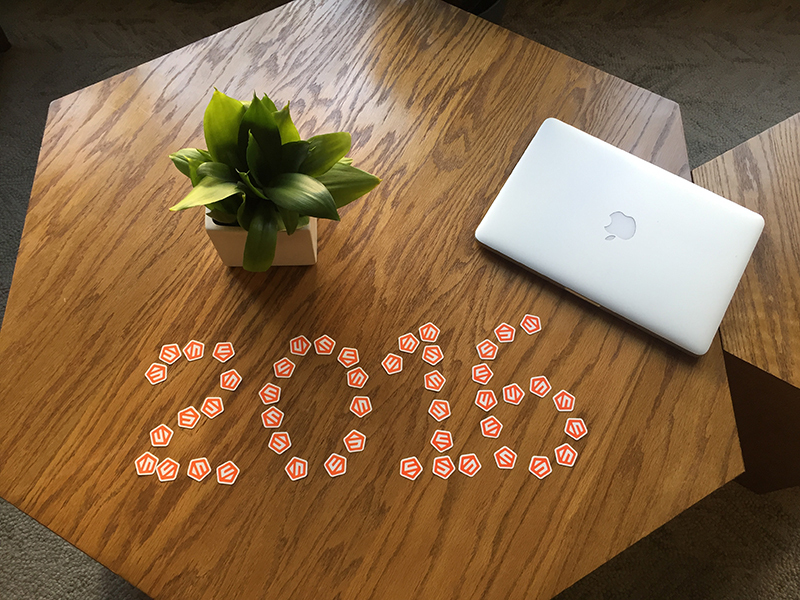 In this post we look back on 2016 and reflect on what we’ve seen in the industry, and where we think it’s headed. Here are the the top five trends we saw in 2016. On the plus side, more focused products meant more tangible goals and impact. Repeat founders meant faster ramp-up, and access to products earlier in their lifecycle gave some interesting product and design challenges. In addition, the 4th quarter seemed to pick back up for startups and we’re optimistic about early-stage companies in 2017. On the flip side, a lot of our work was with later-stage companies in 2016, both rapidly growing startups and larger enterprises. One of the big challenges these groups commonly face are aging codebases typically combined with a slowdown of overall product velocity and a potential recruiting and retention nightmare. To address these issues, they face a tough choice: to keep the existing codebase and slowly refactor it as they continue to develop new features, or to start from scratch and rewrite the product (often a smaller subset at first) on a modern stack and architecture. And, while there are some bad reasons this happens (moving too fast and failing to pay down tech debt, for instance), there is a positive angle: more companies are having long-term success. The problem is this longevity may have snuck up on the staff, and the codebase. When faced with a rewrite or refactor choice, we recommend taking a methodical approach, starting out with an assessment of the architecture, code and overall product development process. Last year we formalized this work as a standalone service we call Technical Assessments and we’re happy to share how we do them if you’re curious. The word “agile” has become so widespread (and some would say diluted) that even the largest enterprises are coming to grips with what it means to them. Carbon Five has done its share of helping large organizations both become more “lowercase-a” agile and implement more “uppercase-a” Agile practices. Last year we worked with a number of Fortune 500 clients on projects that had some aspect of coaching as a core part of the project goals. These companies (and others like them) are often looking to Agile practices for increased speed, easier recruiting and retention (sometimes part of an on-shoring movement), and ultimately a competitive edge. In our experience, the best way to ‘transform’ an organization at scale has been to start with a single team working on a medium-sized project. It’s important to pick a team and project that has a decent chance for success. This generally means that the team wants to ‘do Agile’ and the project is both small enough to execute on a reasonable timeframe but large enough to show an impact on overall product delivery efficiency and outcomes. We also look for an internal champion (or champions) who will help us at both the project and the organizational level. Once we have helped one team work differently and shown some amount of success to the organization, the strategy is to then replicate that pattern across new projects, seeding the practices across broadening swaths of the organization. This strategy worked well for us in 2016, but these projects are often the most challenging, especially when large somewhat siloed teams have grown comfortable with their current version of lowercase-a agile. Every year there are new technologies that we evaluate for inclusion in new projects. Our motto is to make sure we’re making the right software decisions for tomorrow, but choices that we think will be right for next year, too. And while 2016 saw a substantial uptick in React/React Native, and getting back to our roots with more Java work — the real story seemed to be rise of Elixir/Phoenix. We now have three Elixir/Phoenix projects under our belt, as well as a number of speaking engagements and community contributions. Overall, we’ve felt like it’s a productive environment that has a growing community, and has the closest vibe to our (still) favorite Ruby on Rails stack. The upsides in terms of performance and developer happiness (“finally I get to do functional programming for money”) make it a solid, forward-looking choice for greenfield projects. We’re excited to see what this year will bring to the Elixir/Phoenix world, and are energized by our work in helping to shape its future. Finally, there was a keen interest (both from employees and clients) in security, privacy, and ethical software development. In 2016 we worked on at least five projects that fell under either HIPAA or FINRA regulatory oversight. In addition, thinking around collection and storage of PII got a lot of industry and organizational attention. For us, these topics seemed to merge and gel during our annual holiday all-hands event, where teams spent a day discussing and making around the theme of “Civic Engagement.” Everyone at Carbon Five is looking towards the future in 2017, and we’re well-prepared to meet the challenge. That’s the top five trends we saw as software consultants in 2016. A special thanks to all our amazing clients last year. Without them we wouldn’t have this unique opportunity to excel, learn, and grow in our field. What’s coming in 2017? We definitely see some of those trends continuing this year, notably more use of Elixir/Phoenix in greenfield startups, and ongoing efforts to transform larger organizations through better Agile practices. And, as these large organizations continue to see opportunities further down their supply chains, we expect to see more attempts to improve logistical efficiency. Finally we’re also excited to see where ‘bots, AIs, and conversational UIs are headed: especially rich voice-driven user experiences like Amazon’s Echo and Google Home.